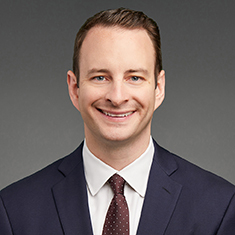 Martin Ruhaak is a Corporate partner in Katten's Chicago office. His practice focuses primarily on mergers and acquisitions and corporate counseling in transactional situations. Martin spends a significant part of his time representing middle market private equity funds and their portfolio companies in acquisitions, dispositions, leveraged buyouts, equity and debt financings, restructurings, recapitalizations and general corporate matters across a variety of sectors, including insurance and financial services, business services and consulting, retail and consumer products, natural gas and energy, distribution and logistics, and heavy and light industrials. He also represents independent sponsors in structuring and negotiating acquisitions and financings with private equity funds and family offices. Martin has represented a variety of M&A and private equity participants, including Aon plc, BBH Capital Partners, Blue River Petcare Group, LLC, The Carlyle Group, Churchill Financial, Diamond Resorts International, Frontenac Company, Glen Echo Capital, Gryphon Investors, Madison Capital Funding, OFS Capital, Onward Capital, Prairie Capital, PSP Capital Partners, LLC, Twin Brook Capital Partners and Winona Capital Management, LLC.